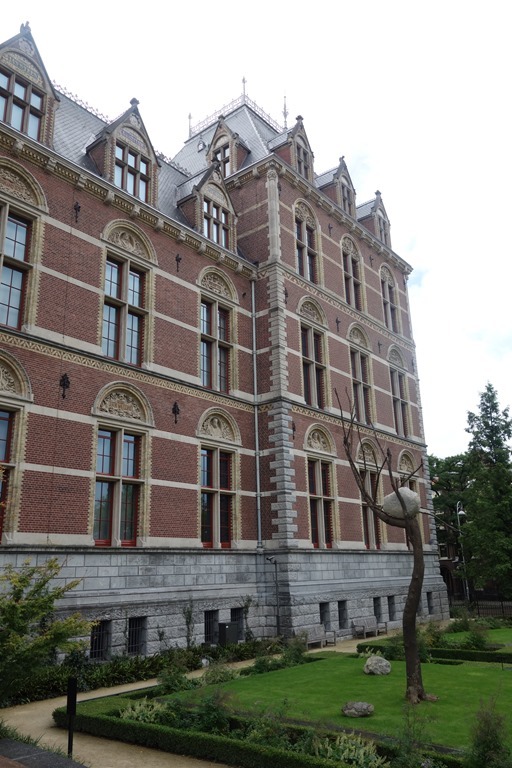 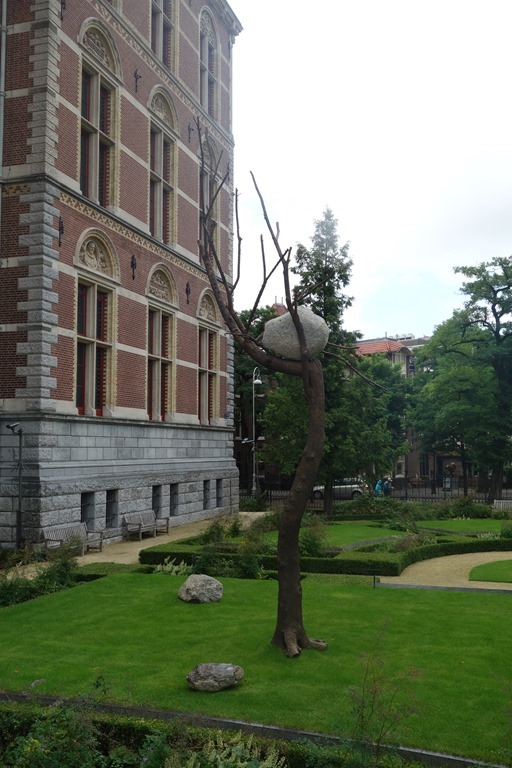 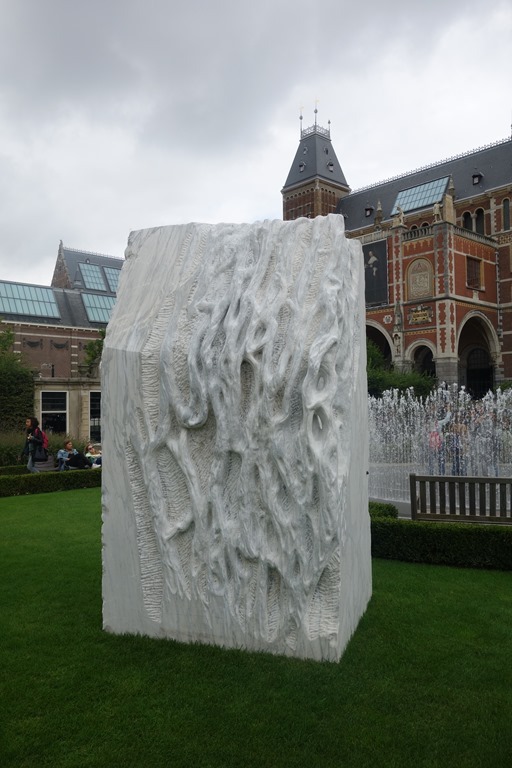 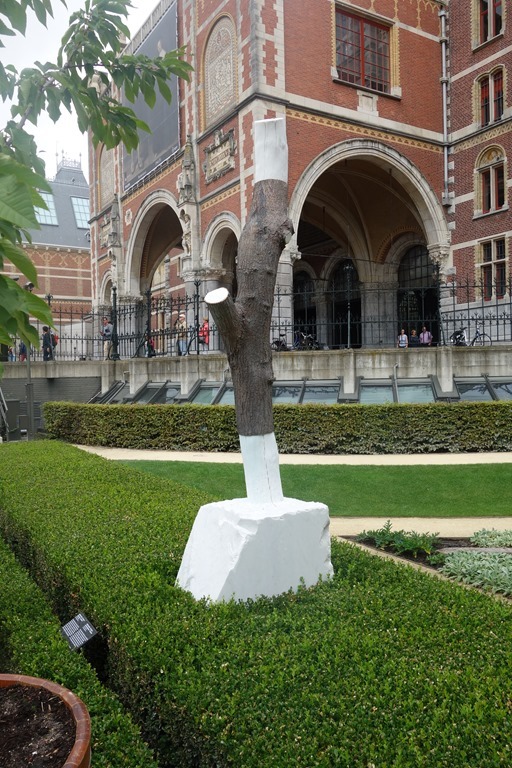 Last year, when we were in Amsterdam for a short holiday, we saw an exhibition of sculptures by Joan Miro in the gardens of the Rijksmuseum. 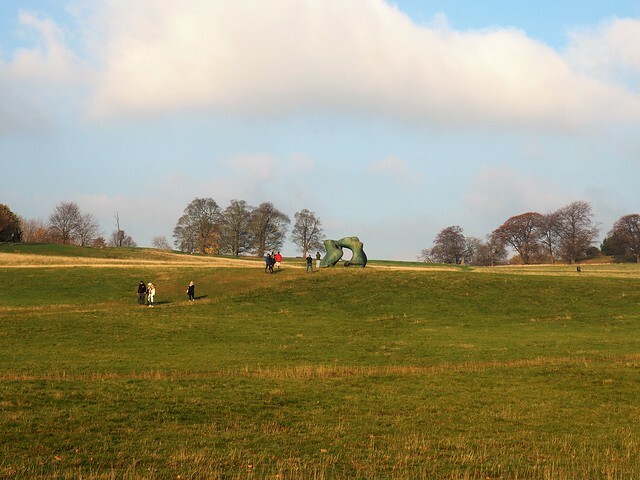 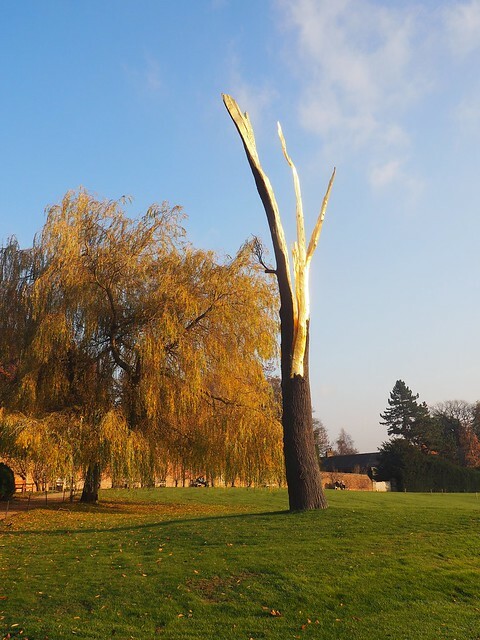 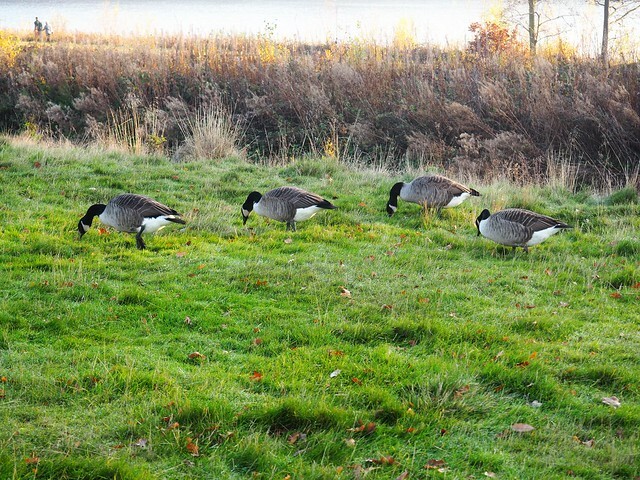 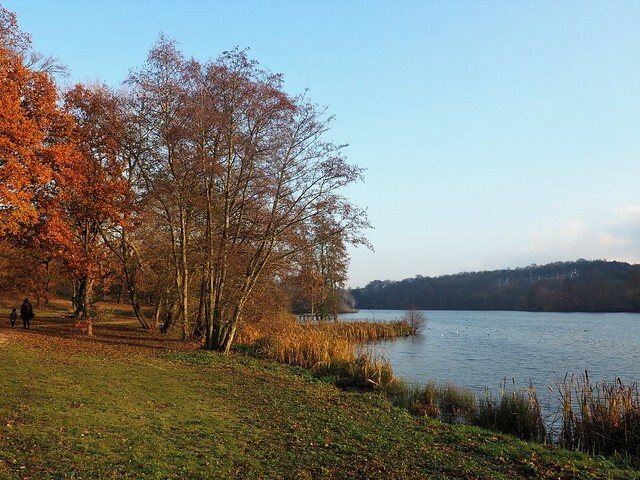 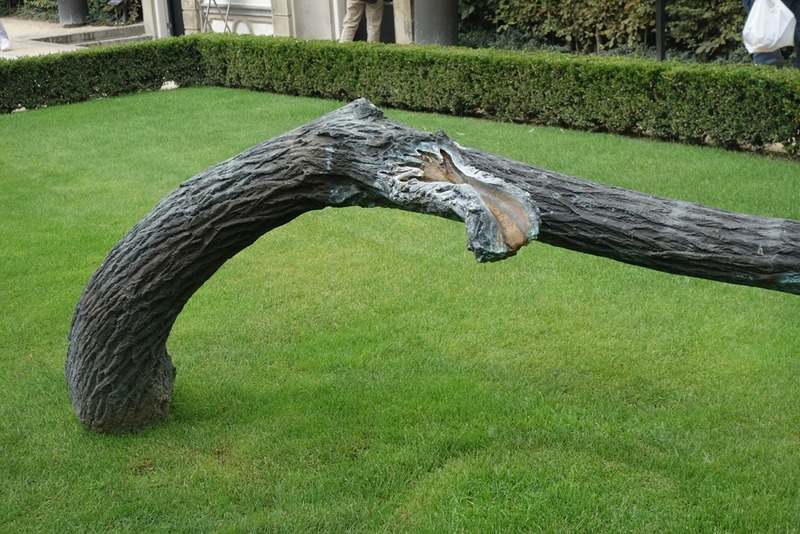 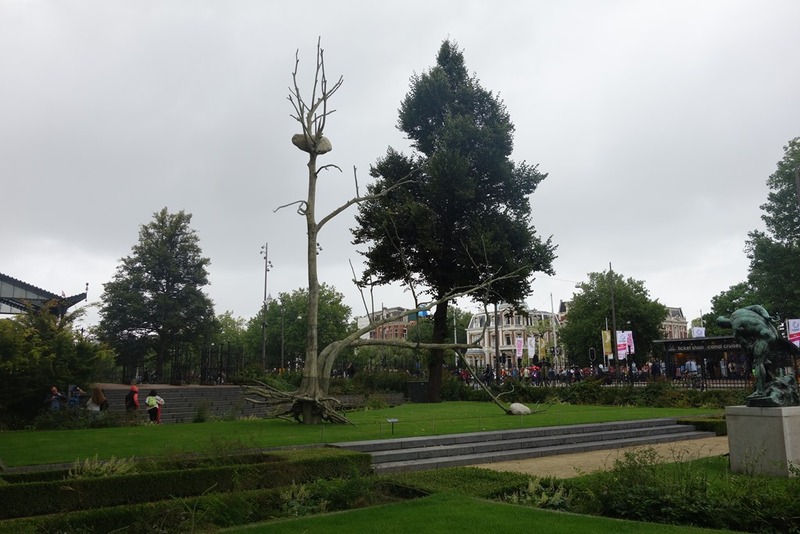 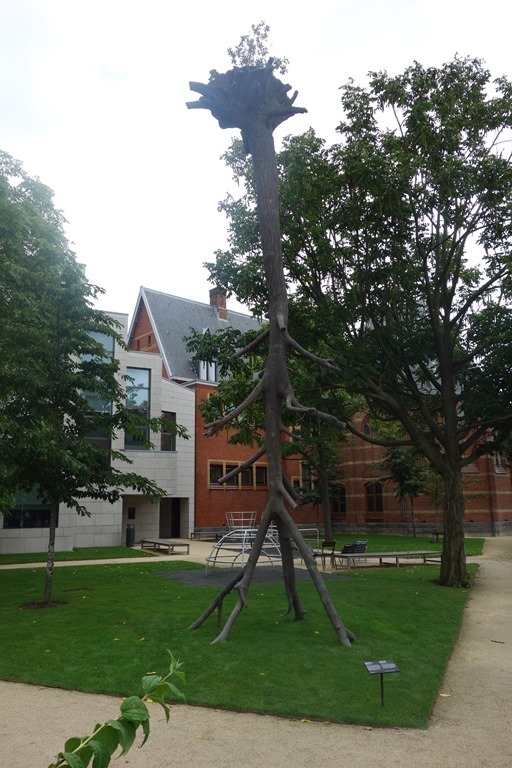 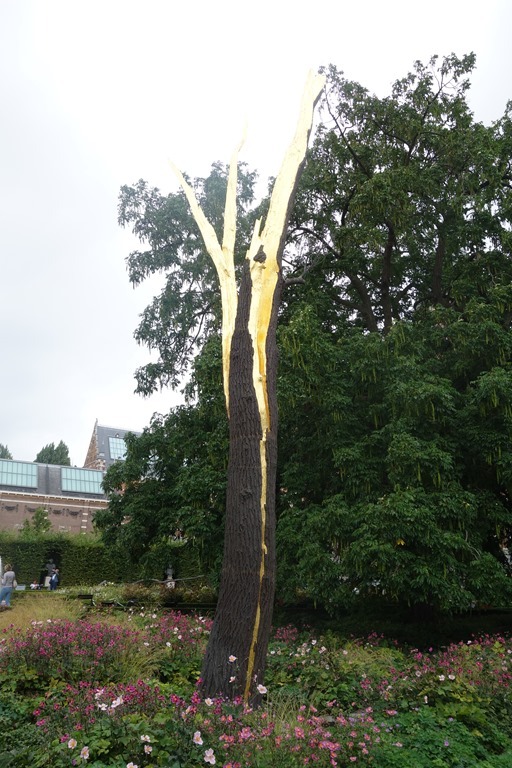 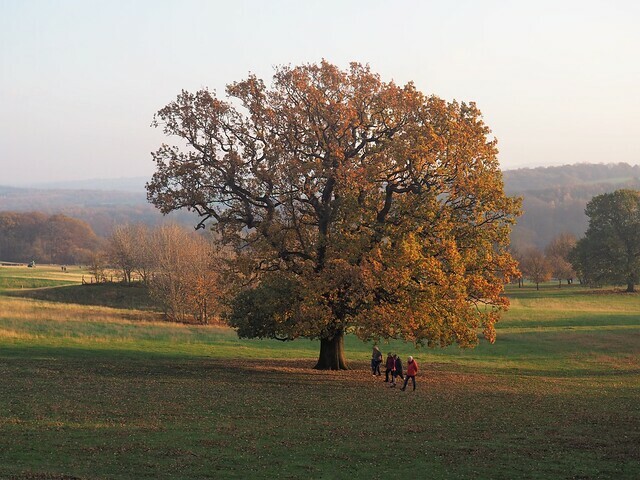 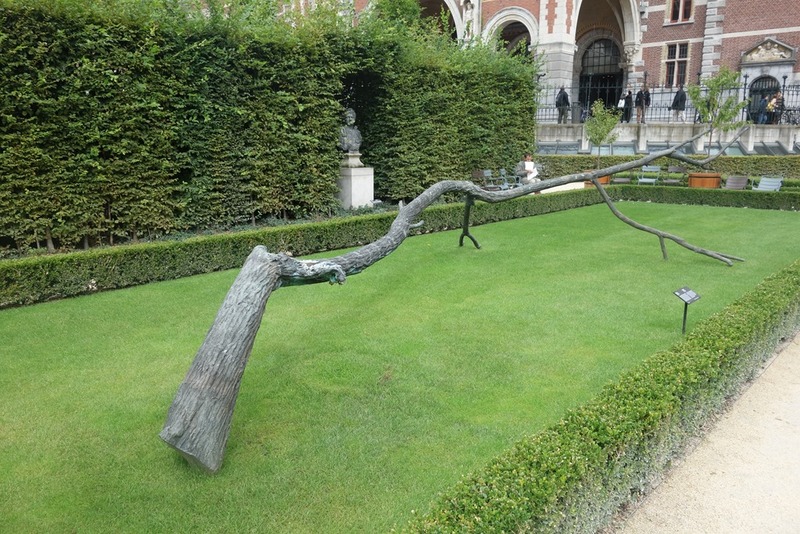 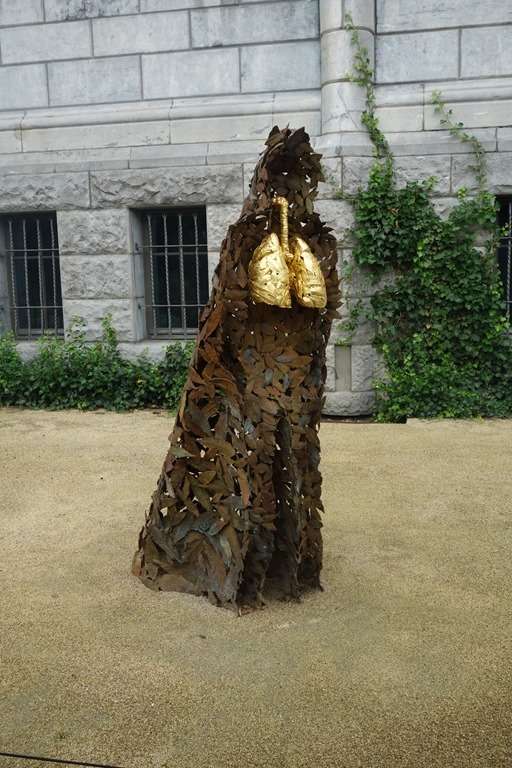 This year there was another exhibition of works by the Italian sculptor Giuseppe Penone. 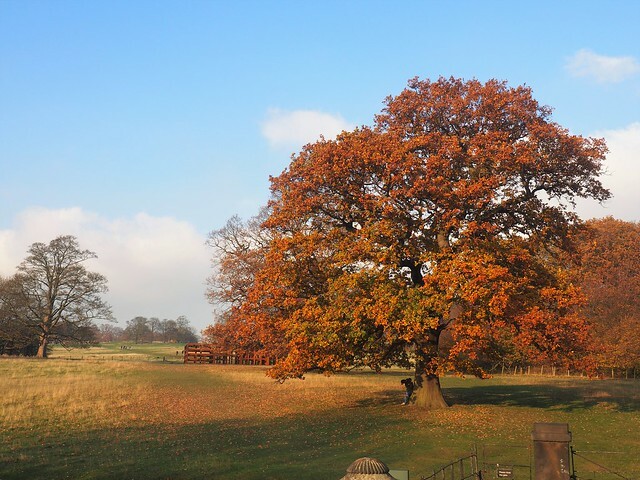 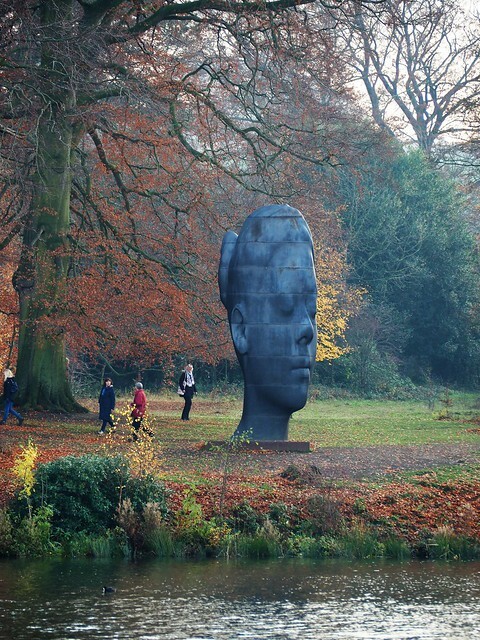 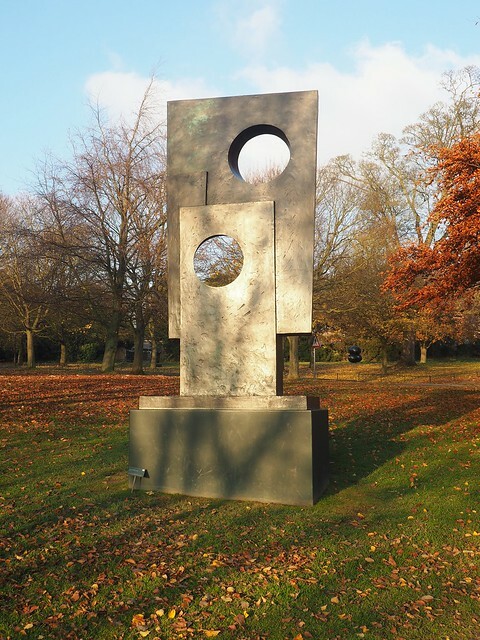 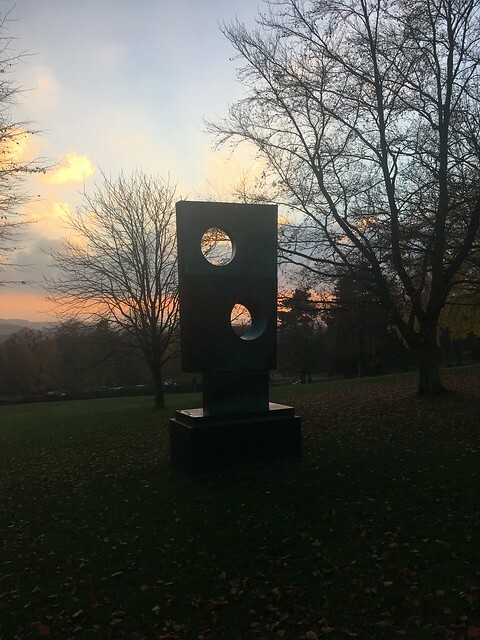 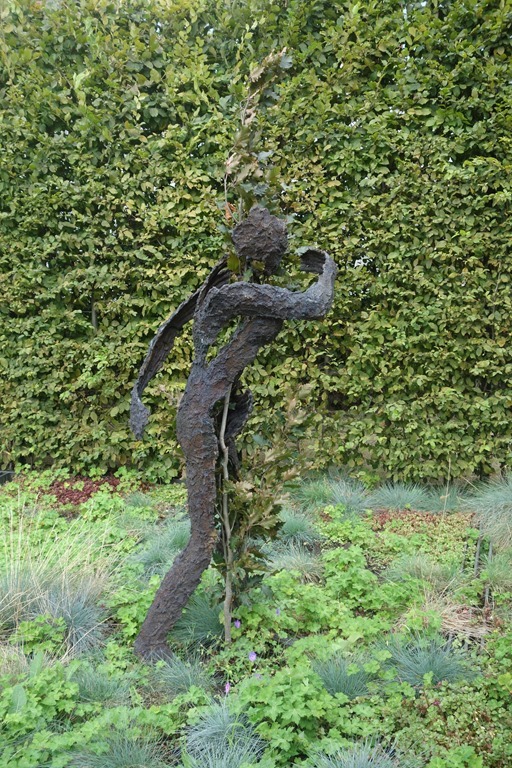 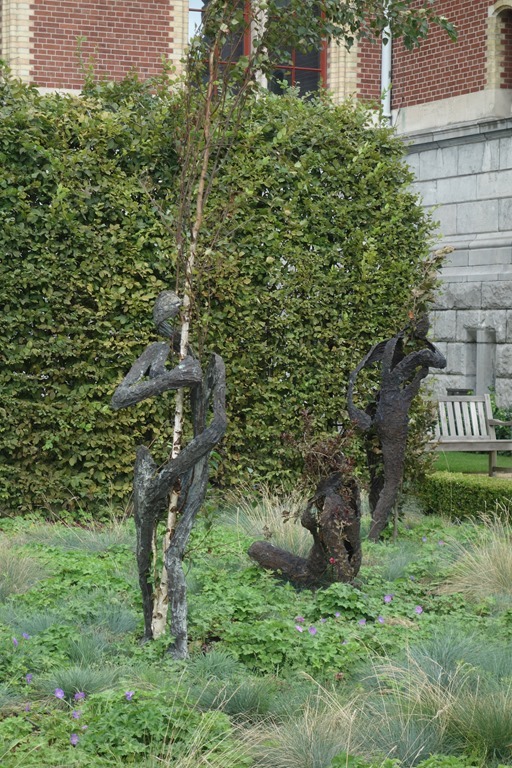 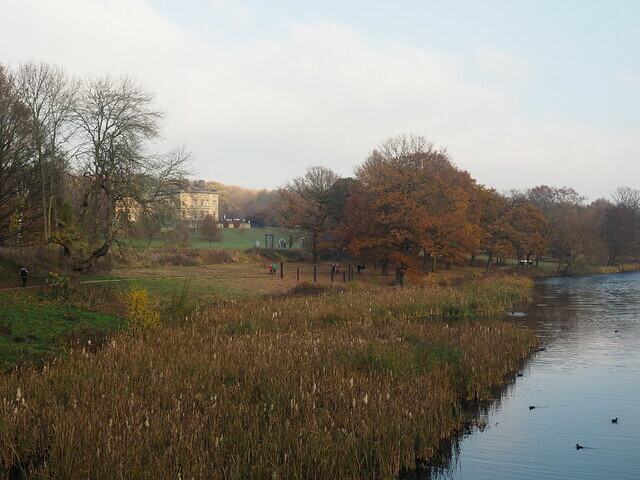 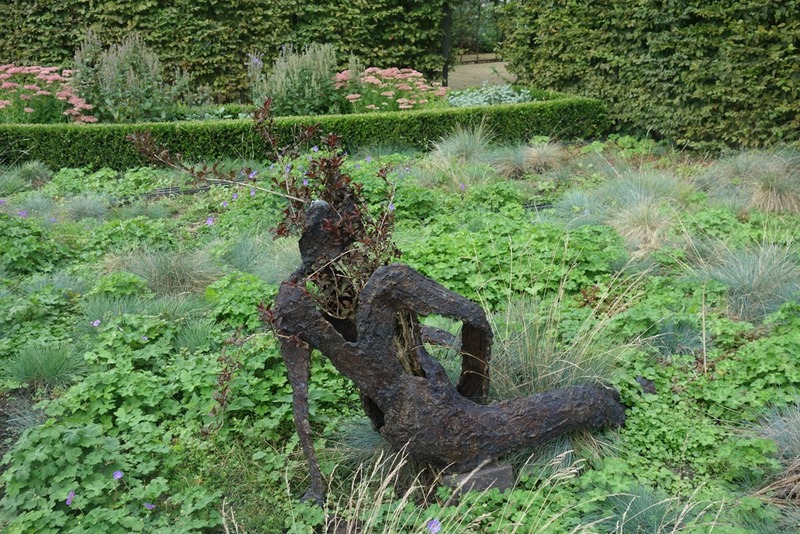 There were 18 sculptures displayed in the garden, with another 4 inside the main building. 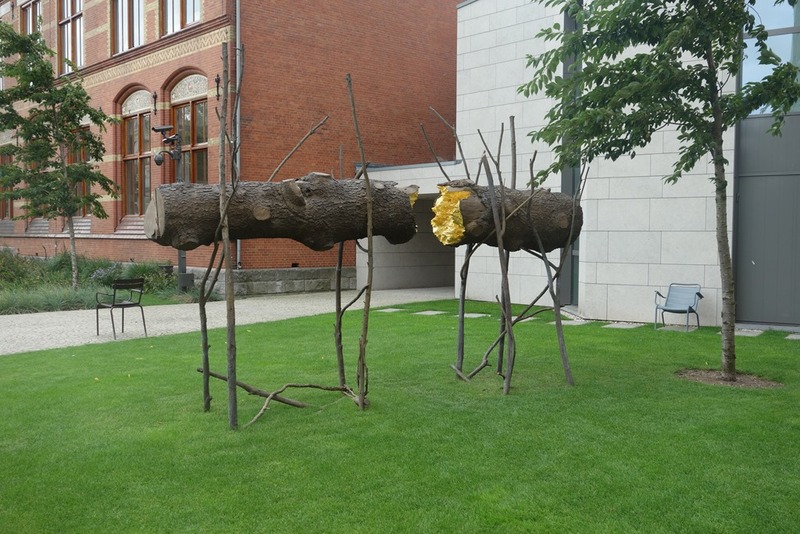 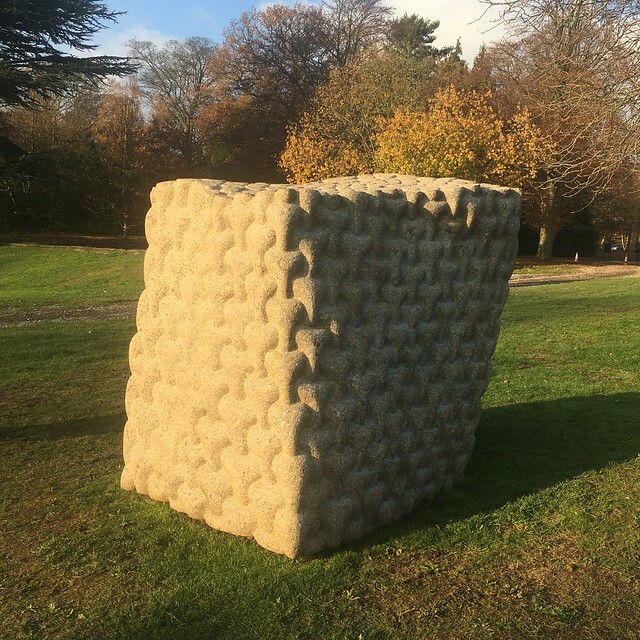 Penone’s work – both his early performances, his sculptures, drawings and numerous writings – from the beginning of his artistic career (in 1968, as the youngest member of the Arte Povera movement), expresses a deep connection with nature and its inexorable forces. 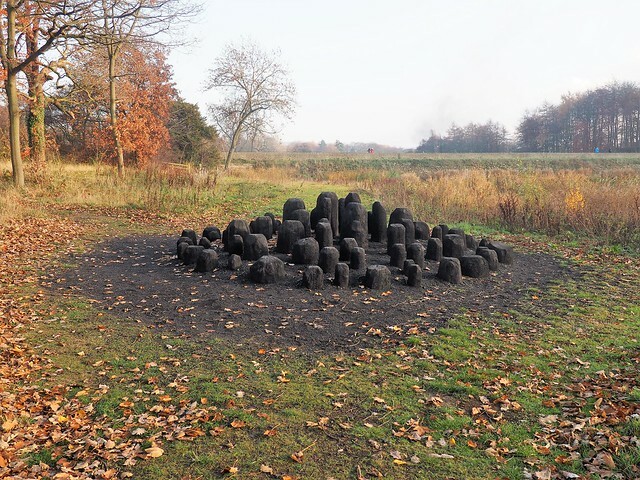 He is particularly fascinated by natural growth and processes of change, which are often obscured by people’s frenzied existence. 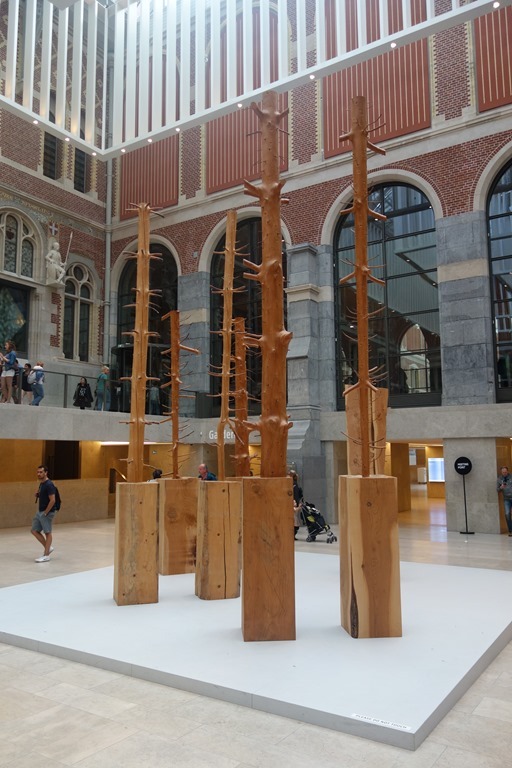 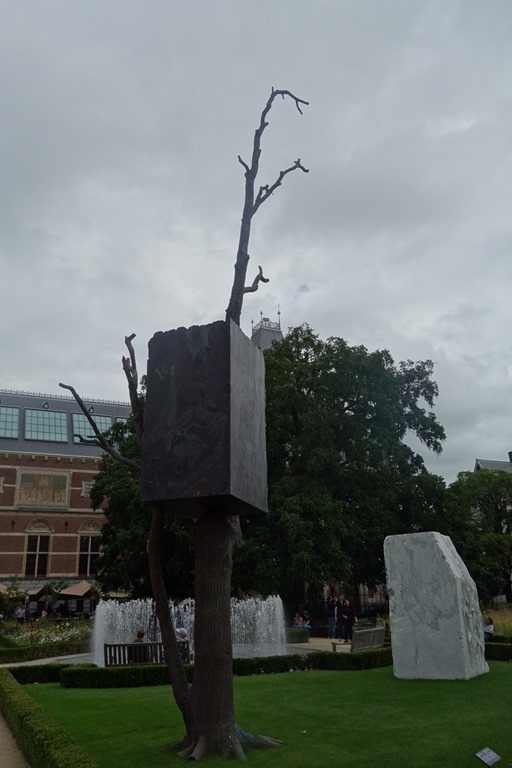 Trees are the most important and recurring motif in his work, and also play a leading role in the Rijksmuseum exhibition.